Why is that we see the word ‘lifestyle change” connected with two very different approaches? One way is the short-lived version, for example a diet. The other as a long life ongoing investment in health and wellness. It probably has to do with the demands that our pressured lives puts on us. We try to maximise output, multi-task and stretch all activities. We do not ‘have time’ to consider a longer perspective. What about our basic needs, and the difficulty to balance the demands life puts on us? Body and Mind – pieces in a puzzle? It is a balancing act between our body and minds basic needs. While physical refers to the “body,” physiological refers to the “functions” in the body. If our body systems are not in balance, our health may be at risk. The foundation of good health is keeping all body systems in balance. This means making choices that keep our body systems free of toxins, and all levels balanced through optimum nutrition, exercise, rest and clear thoughts. The choice is called healthy living and the result is wellness. Reality is that time is a huge factor in all of this. Time is the top excuse for not getting into shape, microwave your dinner, putting your kids in front of the TV, and getting to bed way too late – because ‘time’ stopped you from walking, cooking, reading to your kids, and going to bed when you’re tired. Time is the one thing we cannot stop. We can however take back time, by making time work for us. What happens if we ignore body or mind – and the basic needs of both body and mind? If our body systems are not in balance, our health may be at risk. The foundation of good health is keeping all body systems in balance. This means making choices that keep our body systems free of toxins, and all levels balanced through optimum nutrition, exercise, rest and clear thoughts. The choice is called healthy living and the result is wellness. If you don’t have time to look after the basic needs of your body and mind, consider that you may actually NOT have time not to live healthy. 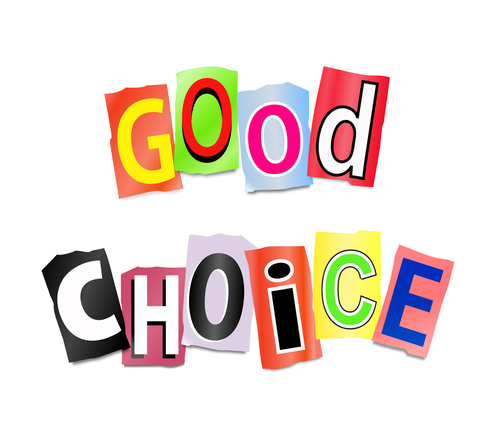 It is a vital choice – a life choice – a key choice for the rest of your life. Our body systems interact and are dependant of each other. If one system is running on low it will impact another – and the whole body system suffers as a result. The result can be ill-health, and clear to see – but often hard to trace. It can take show itself in various ways. For instance – lack of energy and/or stamina, insomnia, chronic pain, stress, weight problems, and depression or serious problems such as cancers and immune system dysfunctions. These are all expression of a body out of balance. The lifestyle choices we make are responsible for an out-of-balance body and mind. If you over or under eat, don’t exercise, worry about too many things, don’t sleep enough, or drink too little water – you can bring about an imbalance in the whole body health. Bad lifestyle choices also contribute or cause a negative attitude towards life and often therefore dysfunctional relationships. Negativism and angry rages produce toxins in the body. It’s a bad cycle that needs to be broken. Balancing Life and Time – How?